Restructuring in the Archdiocese of Philadelphia was very much part of the news in 2013 and it will continue in 2014. As part of ongoing parish planning, last January it was announced that six West Philadelphia parishes would merge into three – St. Callistus and Our Lady of Lourdes merged at Our Lady of Lourdes; Our Mother of Sorrows and St. Ignatius at St. Ignatius and Our Lady of the Blessed Sacrament and St. Cyprian at St. Cyprian. In North Philadelphia on the following weekend it was announced that St. Veronica Parish would merge with St. Hugh of Cluny at St. Veronica. More mergers would follow as the year progressed. In keeping with current social thinking it was announced on Jan. 31 in the near future most campus-based services for intellectually disabled men would be discontinued at Don Guanella Village in Springfield in favor of small community-based group homes. One of the first big stories of 2013 was, as usual, the annual March for Life, which on Jan. 25 saw thousands of Catholic Philadelphians boarding buses for Washington, D.C. As usual, it was vastly under reported in the secular press. On Feb. 25 Archbishop Charles Chaput announced that Pope Benedict XVI had selected Philadelphia to be the host city for the Eighth World Meeting of Families. Held every three years, the WMF attracts hundreds of thousands of participants. This will be the first time it will be held in North America. 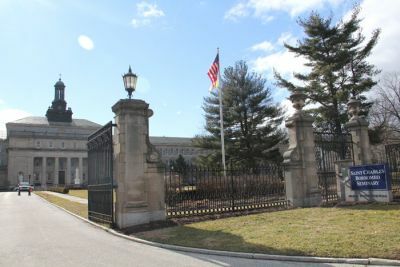 On March 7, through his weekly column, Archbishop Chaput announced the huge building that houses the College Division of St. Charles Seminary will be closed and the entire seminary including the lay programs will be moved to the upper side complex, which at this time houses the Theology Division. As part of the consolidation 45 of the 75 acres of the Wynnewood campus is to be marketed for lease or sale. If it all sounds like doom and gloom at St. Charles that is not the case. A July report of the 2011-12 Seminary Appeal showed donations of $3,051,688; an astonishing increase of 74 percent from the previous year. Also in October, it was announced after careful study the College Division will be maintained, with a targeted growth to 100 college seminarians drawn from around the country, up from the approximately 50 men currently enrolled. A chair in Homiletics was established at St. Charles last year, named for the late Cardinal John P. Foley, one of the seminary’s most distinguished graduates. Also in March, after careful study and by no means unanimous agreement, the decision was made to allow girls to play full contact football on CYO teams. This does not affect the boys-only policy for high school football teams when students are older and boys tend to be larger and physically stronger than girls. 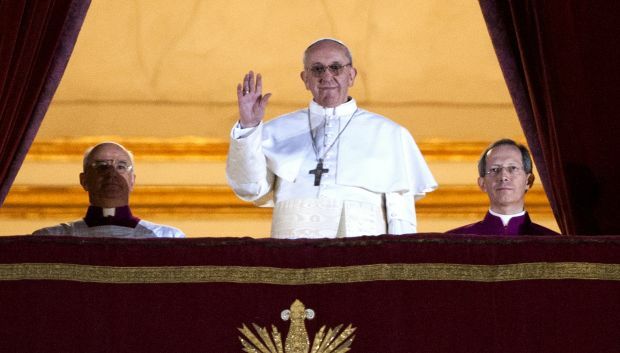 The March 13 election of Cardinal Jorge Bergoglio as Pope Francis impacted Philadelphia just as much as it did the rest of the world. 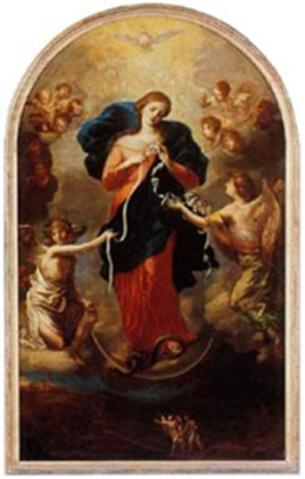 Archbishop Chaput recalled his introduction to the devotion of “Mary, Untier of Knots” by the future Pope Francis when they were once seated in the same row and struck up a friendship during an extended meeting of bishops in Rome. “I want to assure you he is a wonderful man, very intelligent, extraordinarily kind and very, very holy,” Archbishop Chaput said. This seemed to be the universal impression among the throng that attended a Mass of Thanksgiving for the new pope on March 17. Three priests who were on administrative leave because of allegations of sexual abuse of minors were deemed unsuitable for return to ministry, it was announced on April 5. They were Fathers Joseph Gallagher and Mark Gaspar and Msgr. Richard T. Powers. In a related matter in early May, Father James J. Collins, 74, was placed on administrative leave after an allegation was made of sexual abuse of a minor more than 40 years ago. Clearly the Archdiocese of Philadelphia has been in a state of crisis for several years and the clergy abuse scandal and uncontrolled deficit spending have been no small part of that. Archbishop Chaput used the Holy Thursday Chrism Mass on April 1 to address this with his congregation of priests. “Perhaps the humiliation we have experienced in the last several years has been in some way God calling us out of that worldly Church to be a humbler Church and to once more be an evangelizing Church,” he said. Two busloads of mostly recent immigrants traveled from Philadelphia to Washington, D.C. in support of an April 10 rally for immigration reform, a theme to which Archbishop Chaput returned again in January 2014. The entire Philadelphia region was shocked on May 2 by the death of Harrisburg Bishop Joseph P. McFadden,while on a visit to Philadelphia for a bishops’ meeting. Philly born and bred, a teacher and a coach before entering St. Charles Seminary, he had a distinguished career as secretary to Cardinal John Krol and teacher and pastor as he rose through the ranks as priest, monsignor and auxiliary bishop before taking charge of his own diocese in 2010. He will be missed in Philadelphia just as he will be missed in Harrisburg. In a May 14 plea bargain, abortionist Kermit Gosnell, who was charged with killing viable babies at his West Philadelphia abortion clinic, was given a life sentence in prison without parole. Later in July, the Philadelphia Medical Examiner declined to release 47 fetuses taken from the clinic to Priests for Life founder Father Frank Pavone, or any other organization, for Christian burial. On May 23 Christopher Mominey , the former superintendent of schools for the Syracuse Diocese, was named secretary for Catholic education for the Archdiocese of Philadelphia and chief operating officer of the Faith in the Future Foundation. He succeeded Dr. Richard V. McCarron, the long-time secretary for Catholic education who retired earlier in the year after 12 years in the post. At a Cathedral ceremony June 2, McCarron was awarded the papal honor of Knight Commander of the Order of St. Gregory. At the same ceremony Donna Farrell, the former communications director for the archdiocese, received the papal honor of the Cross Pro Ecclesia et Pontifice. In November Farrell was named to head up the planning committee for the 2015 World Meeting of Families to be held in Philadelphia in September 2015. Fifteen laymen, mostly from the suburbs, were ordained into the permanent diaconate by Archbishop Chaput on June 1. In his homily Archbishop Chaput likened them to St. Stephen and his six companions who were ordained as the first deacons by the apostles. In late June and early July, 29 parishes in areas that have seen serious changes in membership, mostly in Philadelphia but some in Delaware County, were merged into 16, with closed parishes usually becoming a worship site of the new parish. In Philadelphia, Our Lady of Consolation and St. Leo merged at Our Lady of Consolation. Holy Name of Jesus and St. Laurentius merged at Holy Name. St. Joan of Arc, St. Joachim, Mater Dolorosa and Holy Innocents merged at Holy Innocents. Holy Cross, St. Madeleine Sophie and St. Therese of the Child Jesus merged at Holy Cross. St. Athanasius and St. Benedict merged at St. Athanasius. St. Barbara and St. Rose of Lima merged at St. Rose. St. John Cantius and All Saints merged at St. John Cantius. Incarnation of Our Lord merged with St. Veronica and St. Helena, becoming a worship site of St. Helena. In Delaware County St. John Fisher, Boothwyn; Holy Saviour, Linwood and Immaculate Conception, Marcus Hook merged into St. John Fisher. Blessed Virgin Mary, Darby and St. Louis, Yeadon merged at BVM; St. Philomena, Lansdowne and St. Cyril of Alexandria, East Lansdowne merged into St. Philomena. St. Laurence and St. Alice, both in Upper Darby, merged into St. Laurence. One reason for parish mergers is a continuing decline in Mass attendance in the archdiocese. Figures released in June for the October 2012 Mass count showed on any given weekend 253,338 people attended Mass. This is a decline of about 33 percent just in the past 11 years. There were bright spots – 74 parishes had increased attendance, including some in South Philadelphia, where Catholics were moving away for years. For the first time ever, the archdiocese released thorough audited financial statements during July and August. These were for the archdiocese itself and such subgroups as the Cemeteries Office, Catholic Health Care, Catholic Social Services and Catholic Education. The reports did not include parish finances. Looking at the main report released July 3, in the fiscal year ending June 2012 there was an operating deficit of $39.1 million which brought accumulated liabilities up to $184 million, (approximately $350 million counting other archdiocesan entities). Virtually the entire deficit is internal shortfalls, not funds to outside creditors. For example the Trust and Loan Fund, which holds funds for some parishes and lends them to others is undefended. The Priest Pension Fund is seriously underfunded according to the financial reports and the Lay Employees Pension Fund to a lesser extent. Deposits were not made in a timely fashion in past years to sufficiently to cover the estimated pension obligations for retirees and future retirees, both clerical and lay. Fast forward to Dec. 5 and the release of a financial statement for fiscal year 2012-13 shows a distinct improvement. Thanks to austerity measures taken, including a dramatic reduction in personnel and excess property sales, there was an operating profit of $3.9 million against the previous year’s operating loss of $39.1 million. This has little effect on the outstanding liability obligations, but other actions set in motion during the year almost certainly will, if they proceed as planned. Chief among these are the proposed outright sale of the archdiocese-owned nursing homes as announced Aug. 20, and the long-term lease of the archdiocesan cemeteries. This does not include parish cemeteries or nursing homes conducted by religious congregations. The tentative agreement for the cemeteries’ lease to Stonemor Partners calls for a $53 million initial payment and an additional $36 million over the life of the 60-year agreement. The lease proposal, subject to Orphans Court approval, would not affect the rights of current lot holders, the perpetual care guarantees and the status of the cemeteries as Catholic cemeteries. The immediate effect of the nursing home sales and cemeteries lease would be payments to the severe shortfall in the priests’ pension fund and some repayment to the Trust and Loan Fund. With $478 million in assets, the $150 million shortfall in estimated future liabilities in the lay pension fund is manageable and will be addressed with future payments, the archdiocese explained on Nov. 4. However, while the status quo as a defined benefit program will remain in effect for benefits already earned by employees and all current retirees, starting in June 2014 the archdiocese will follow most of industry and switch to a defined contribution program. What this means is the archdiocese will annually credit a fixed amount to the lay employees’ retirement account and the employees will have the ability to also add to it. The individual account will be limited to the combined contributions of the archdiocese and the individual and any interest they may generate. There is no guarantee by the archdiocese of a fixed payment for life. Many fixed payment pension funds around the country have gotten into trouble simply because retirees today generally live longer than it was initially calculated. Professor Brad Gregory tackled the issue of compatibility between science and religion at a Sept. 12 lecture at St. Charles Borromeo Seminary, as part of Archbishop Chaput’s Year of Faith series. Ross Douthat of the New York Times spoke the following week on religion in America. The four-lecture series was bookended on May 14 with Helen Alvare speaking on women and religious freedom, and Oct. 1 by Archbishop Chaput himself who addressed the topic of the new evangelization. Forty-six parishes in Philadelphia, Delaware, Montgomery and Bucks Counties are starting the self-study phase of pastoral planning, it was announced Sept. 16. Any mergers or closures to come of it will be announced this spring, effective July 1, 2014. In September it was reported that a new entity, the Catholic Foundation of Greater Philadelphia has been established, replacing the archdiocesan Office for Development. The foundation will conduct the Catholic Charities Appeal and other fundraising efforts of the archdiocese. While it will assist the archdiocese through its work the foundation is self-funded and entirely independent of the archdiocese. Philadelphia is the 16th diocese or archdiocese to adopt this form of fundraising. St. Andrew School in Newtown and St. Patrick School in Malvern joined an exclusive club when they were among the 286 elementary schools nationally and 15 schools statewide to be named National Blue Ribbon Schools in 2013, it was announced Sept. 21. They were the only Catholic schools statewide to receive this recognition. More than 1,000 Catholics gave public witness to their faith through a Sunday, Oct. 13 walking pilgrimage from various locations to the Cathedral Basilica of SS. Peter and Paul in Philadelphia. 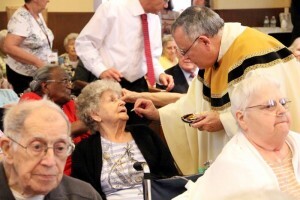 Eleanor Patton receives communion from Archbishop Chaput during Mass at St. Francis Country House. St. Francis Country House,the oldest Catholic nursing home in the archdiocese, marked 100 years through a Mass celebrated by Archbishop Charles Chaput on Oct. 4. Medicine has changed radically in 100 years, but one thing remains constant – compassionate care. The Maguire Foundation, funded by James and Frances Maguire, is making grants of $6.4 million annually to assist mostly Catholic school children of modest means to obtain a quality education, it was announced in October. Two religious sisters of the Parish Visitors of Mary gave an Oct. 5 workshop on old-fashioned evangelization at SS. Simon and Jude Parish, West Chester. Their technique is simple – ring doorbells and knock on doors. Approximately 50 laypeople attended the workshop. In October it was reported a proposed site for a Catholic high school on a 68-acre tract in Hilltown, Bucks County, has been sold for $2.6 million to help reduce the archdiocesan deficit and will be applied to the Trust and Loan Fund. Magnificat Day, Nov. 9, was sponsored by the archdiocese and the Magnificat Foundation, the publishers of Magnificat magazine. It was magnificent. Held at the Pennsylvania Convention Center, it drew an estimated 3,500 people from around the country. The featured speaker was Father Robert Barron, creator of the acclaimed documentary series, “Catholicism.” The day was capped by an impressive candlelight procession to the Cathedral Basilica of SS. Peter and Paul, where Archbishop Charles Chaput celebrated an outdoor benediction. The Philadelphia Chapter of Legatus celebrated its 25th anniversary at the Union League of Philadelphia on Nov. 12. Legatus, which was founded by Pizza magnate Tom Monaghan, encourages Catholic CEOs and other high-ranking executives to live out their faith. Legatus Philadelphia’s founding president, Bud Hansen and his wife Eileen, were honored at the celebration. On Nov. 15, in accordance with the wish of Pope Francis, the archdiocese solicited input from the clergy and the laity for the 2014 Synod of Bishops that will examine issues surrounding marriage and the family. The input requested consisted of an online poll to be completed by Dec. 2. On Dec. 15 it was announced that Fathers Francis J. Schlett and Zachary W. Navit, who had been suspended from ministry because of reported violations of the “Standards for Ministerial Behavior and Boundaries,” were found suitable to return to ministry. Another priest, Father Michael Chapman, who had previously been bought back from leave, was again suspended after another allegation of sexual abuse of a minor was made. The matter was referred to law enforcement authorities. Four other priests on suspension were deemed unsuitable to return to ministry because of violation of the archdiocesan code of conduct but not sexual abuse of minors. They are Fathers Mark E. Fernandes, Joseph M. Glatts, Stephen B. Perzan and Peter B. Tolucci. On Dec. 16 it was announced that Father John Paul, who earlier resigned as pastor of Our Lady of Calvary Parish, Philadelphia, was placed on administrative leave because of allegations of sexual abuse of children more than 30 years ago. More than 900 women gathered at the Pennsylvania Convention Center on Dec. 7 for the first Catholic Women’s convention in the archdiocese, cosponsored by ENDOW (Education on the Nature and Dignity Of Women). Archbishop Chaput was the celebrant of the morning Mass. ENDOW was founded in Denver while he was archbishop of Denver. Young people were also doing things in 2013. For example it was reported in early December that Allie McCrea, a member of Epiphany of Our Lord Parish, Plymouth Meeting and a senior at Mount St. Joseph Academy, has helped organize “Joyful Noise,” a youth group that sings and performs the lay ministries at Mass nine or 10 times a year. The motive for Allie is to entice some of her contemporaries to form the habit of attending Mass and enjoying the experience. At St. Anthony of Padua Parish, Ambler, Kate Greenhalgh is organizing a four-day Kairos retreat for kids in public high school or home school. Youth-led Kairos retreats are virtually a staple at Catholic high schools so why not have them for public school upperclassmen too, she reasoned. Kate is so determined to see it through she has taken a semester off from Franciscan University, Steubenville, just to get the ball rolling. Similar retreats have been offered for some time at St. Elizabeth, Upper Uwchlan. It had taken a year and a half of incarceration but on Dec. 26 a three-judge Superior Court panel threw out Msgr. William Lynn’s conviction for child endangerment for acts committed by priests he supervised while he was secretary for clergy. While the judges agreed that he “prioritized the disrepute of the church over the welfare of children,” their opinion found the law under which he was prosecuted was not yet in effect during his tenure, and because he did nothing illegal under that statute the charge should never have been brought. He was released on $250,000 bail pending a further appeal by Philadelphia District Attorney Seth Williams, who vowed to appeal the Superior Court panel’s finding. 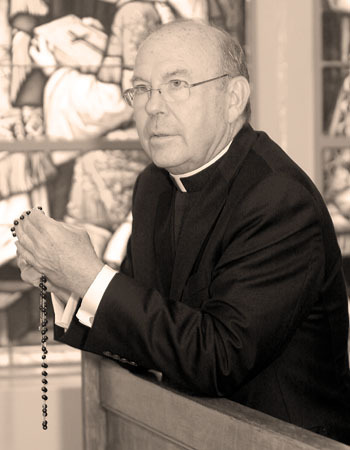 Eleven priests of the Archdiocese of Philadelphia died during 2013 – Father William T. Joseph, Father Stephen J. Dougherty, Msgr. Henry B. Degnan, Father John P. Gallagher, Father Edmund J. Maher, Father Edward J. Chwieroth, Msgr. Anthony J. D’Angelico, Father John A. Freeman, Father James P. McKelvey, Father Joseph D. Bowen and Father Sydney C. Burgoyne. Also five permanent deacons died – Deacon Leo T. Gladnick, Deacon R. Steven Santoleri, Deacon John J. Davaro, Deacon Joseph Coyle and Deacon Joseph M. Cella Jr. During that same period 15 men were ordained to the permanent diaconate but only three new priests were ordained, which is seriously below replacement levels. Pray for priestly vocations, and just as important promote religious vocations. While the national week of prayer for vocations has been moved from its customary time frame of January 2014 to November, it’s always a good time to pray for vocations. I believe there is an error in this article. Holy Name of Jesus and St. Laurentius parishes merged at Holy Name of Jesus, not at St. Laurentius as noted in the article. I remember this distinctly because while I have never been a parishioner at either parish and have no emotional ties to either parish, this decision made absolutely no sense, which is probably why it is wrong in the article as well. You are right about the error in the year in review story. St. Laurentius is a worship site of Holy Name of Jesus, after St. Laurentius’ merger at Holy Name. The original story from June of last year reported the information correctly. Thank you for pointing this out. — Editor.